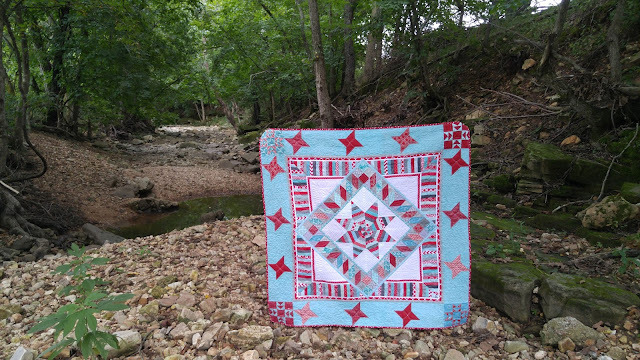 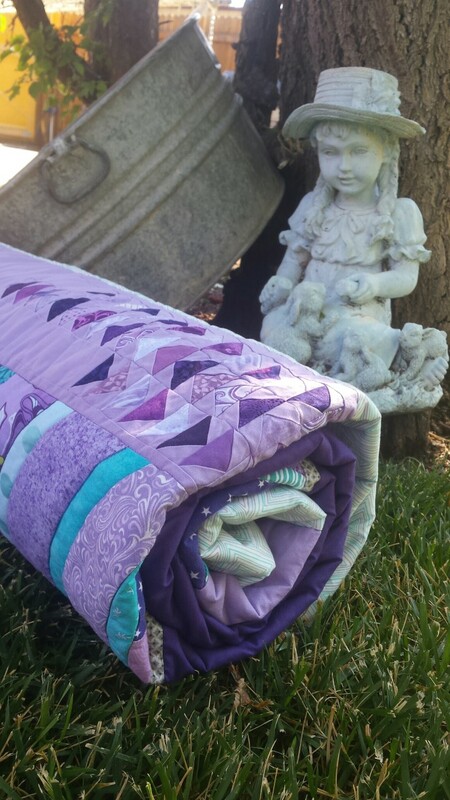 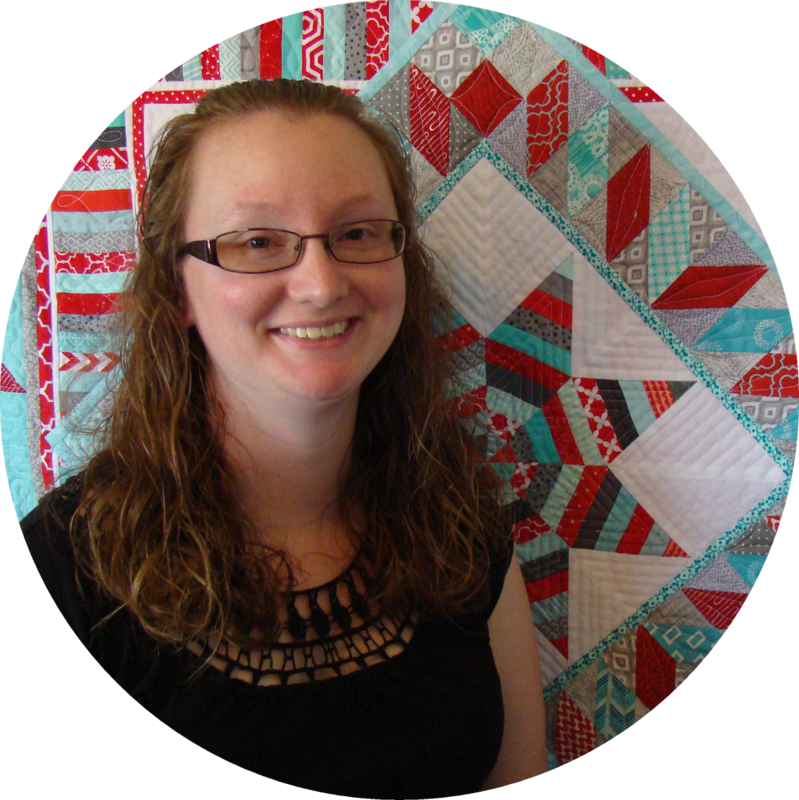 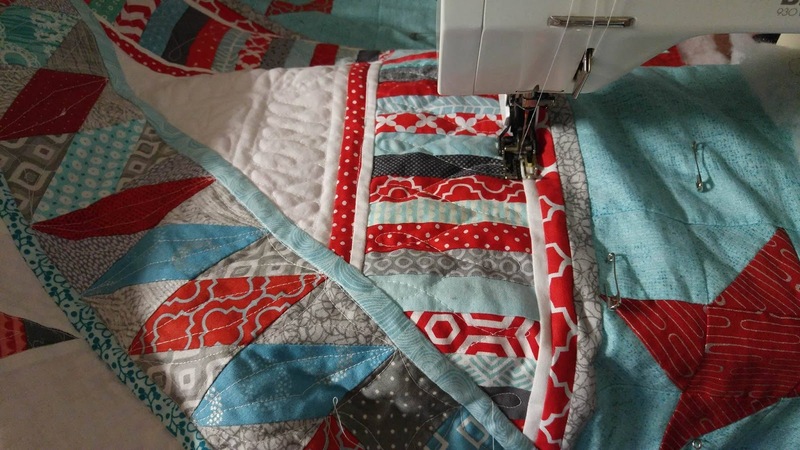 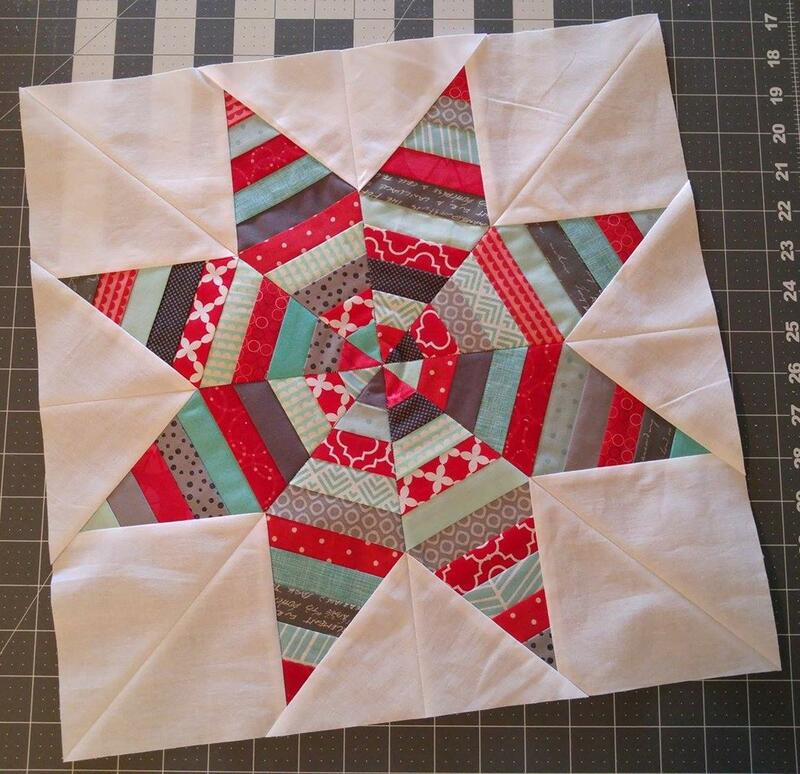 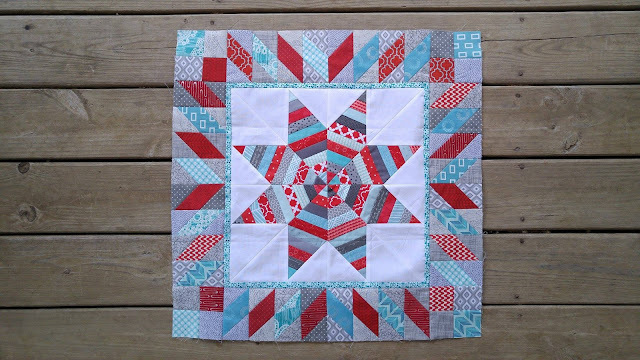 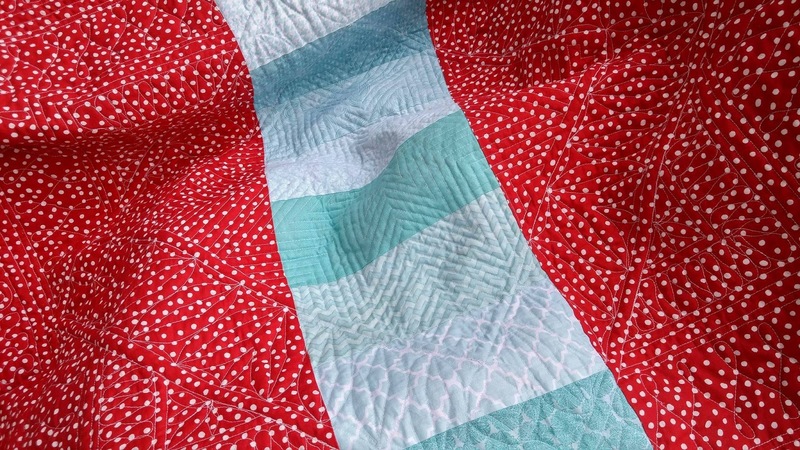 Let's look back at how Heather's quilt came to be! 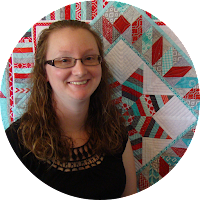 Heather really felt that the quilt did not need anything more added to it from a design perspective, but she wanted the quilt large enough to use as a throw. 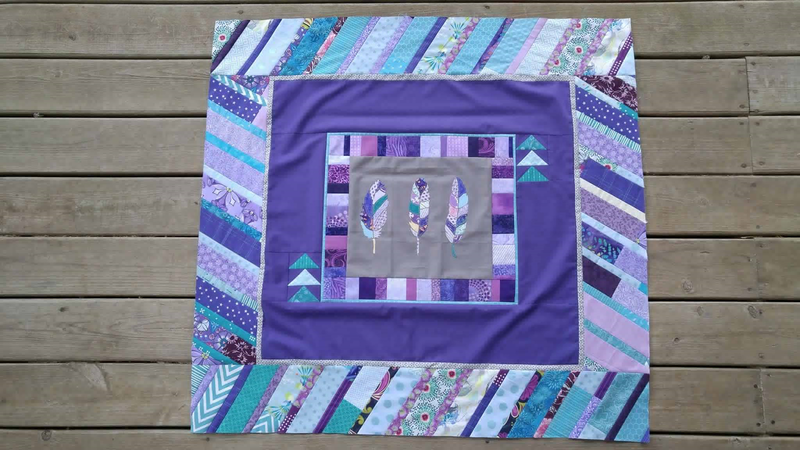 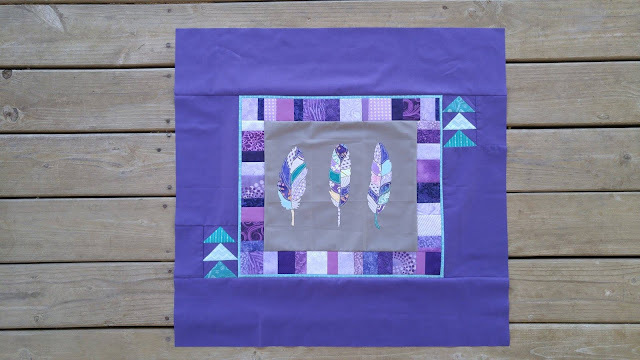 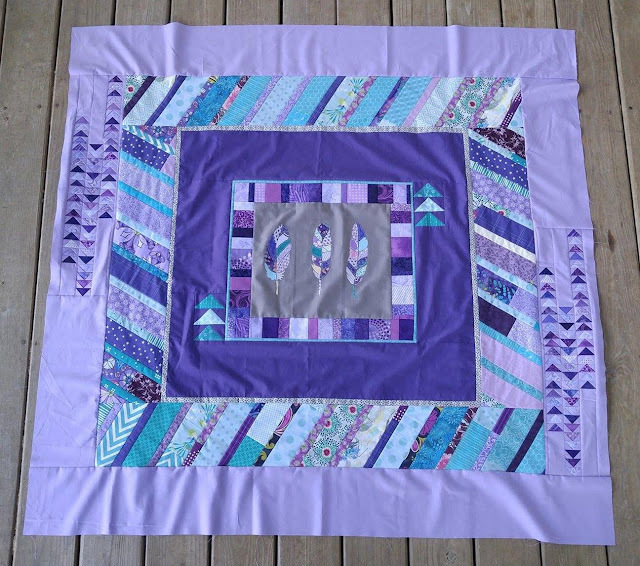 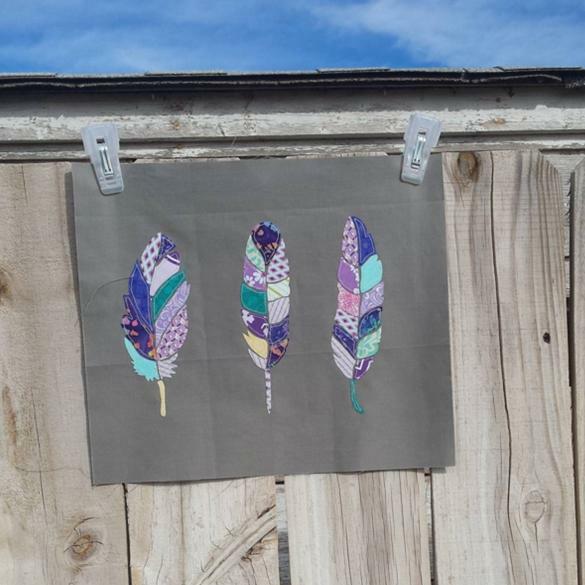 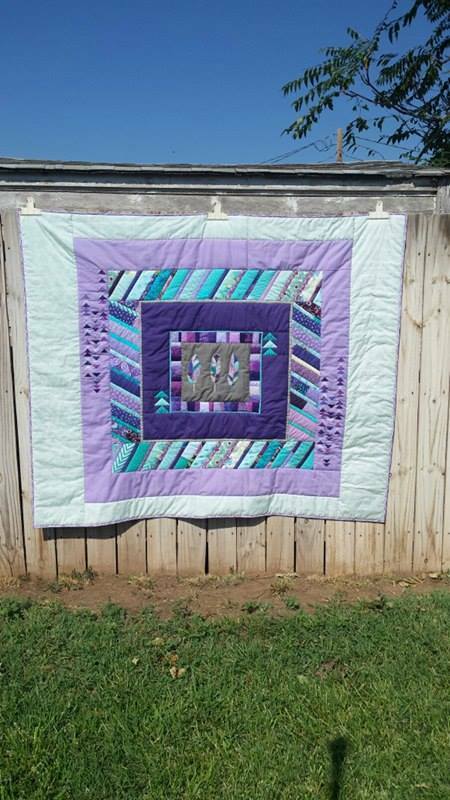 She decided to add a 10" border to the top and bottom and a 5" border to each side using a light colored print fabric with hints of purple and turquoise. 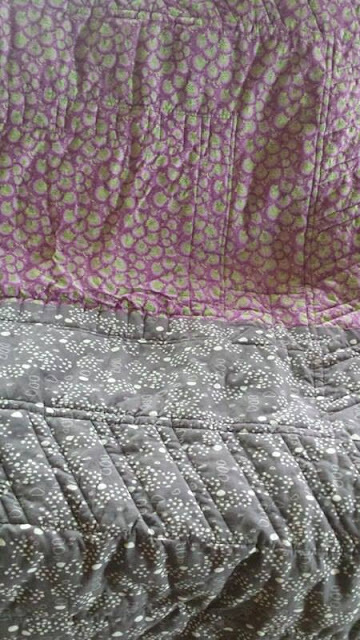 The back is pieced with purple and gray fabric, and she used a low-loft polyester batting. 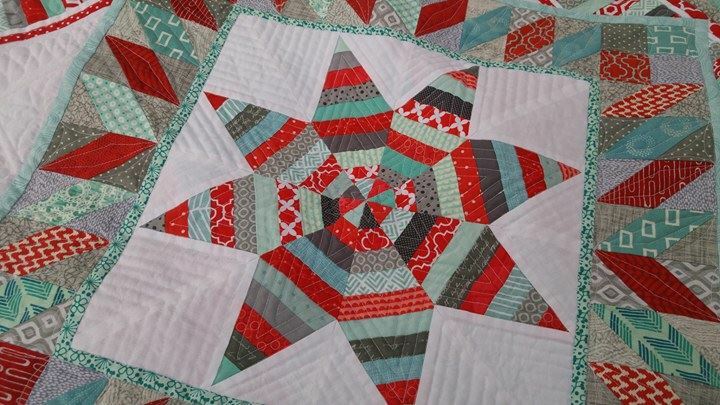 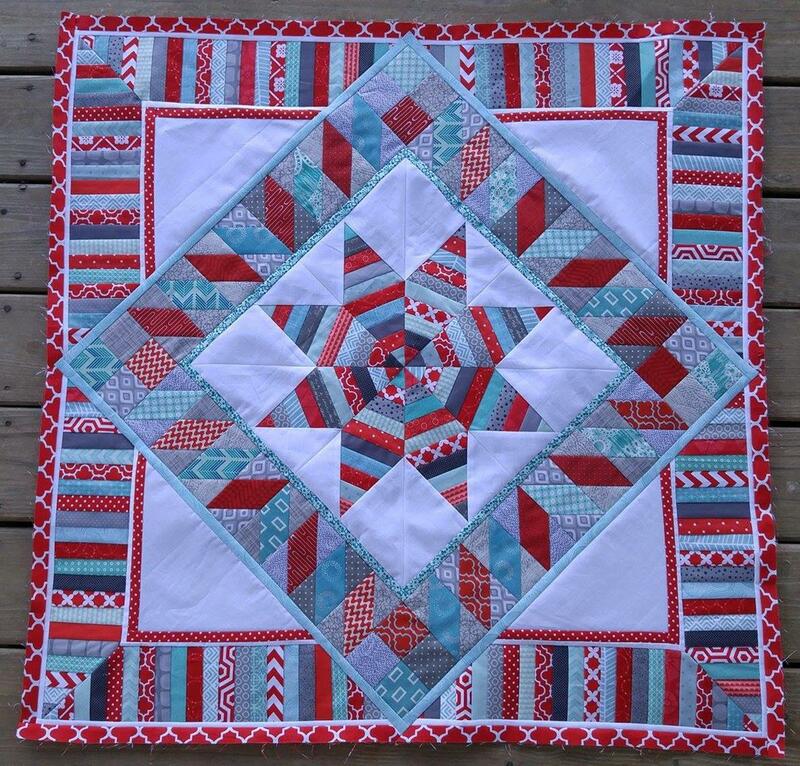 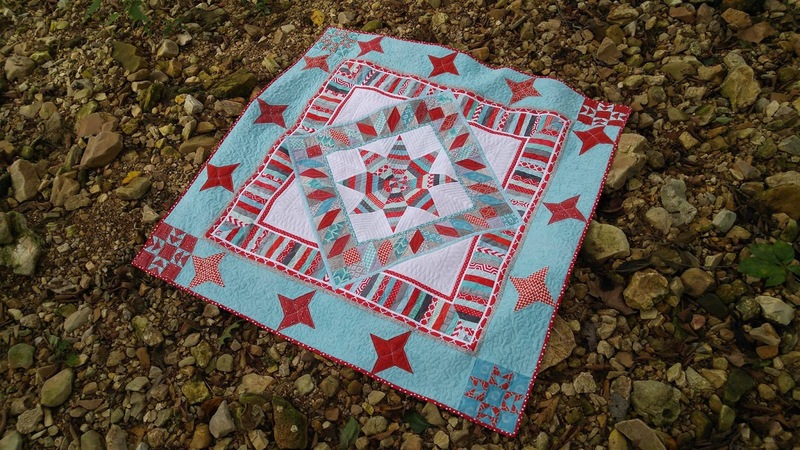 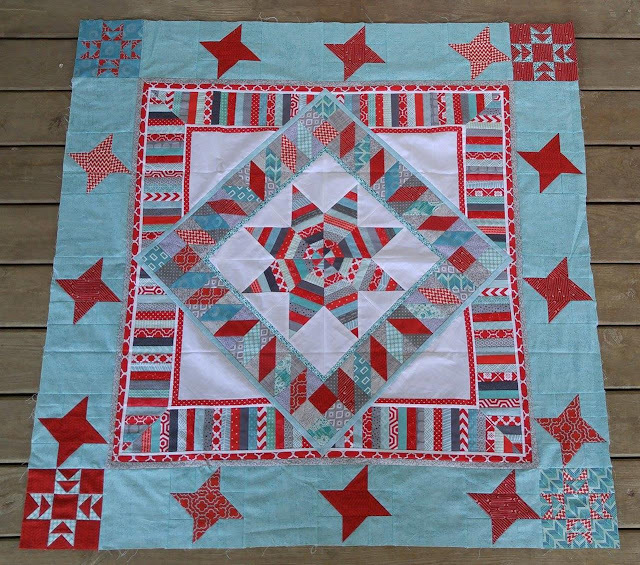 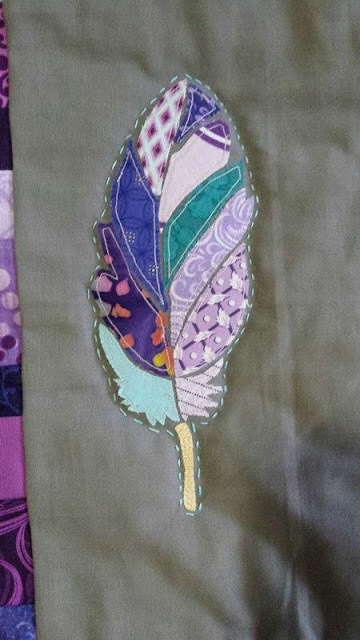 To quilt it, she started by hand quilting with turquoise thread around the feathers in the center block. So unexpected - and my favorite part! 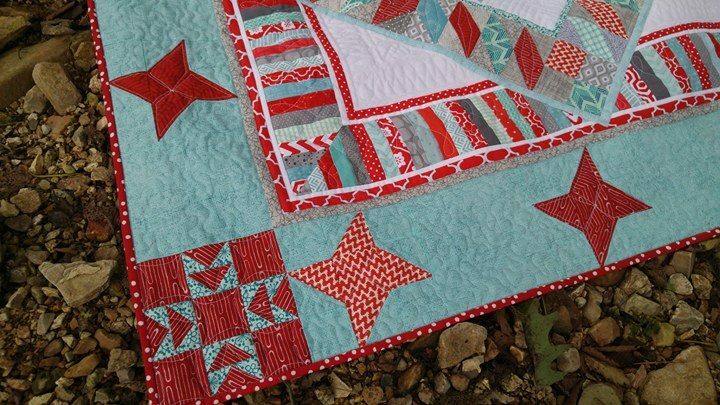 Then she used a walking foot to sitch in the ditch to quilt the rest of the quilt. 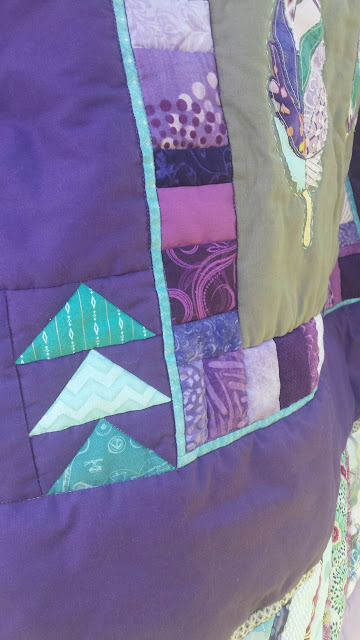 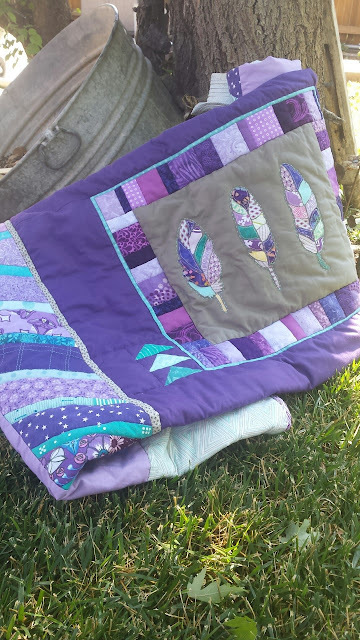 She finished the quilt with a purple binding. The quilt finished around 68" x 56". 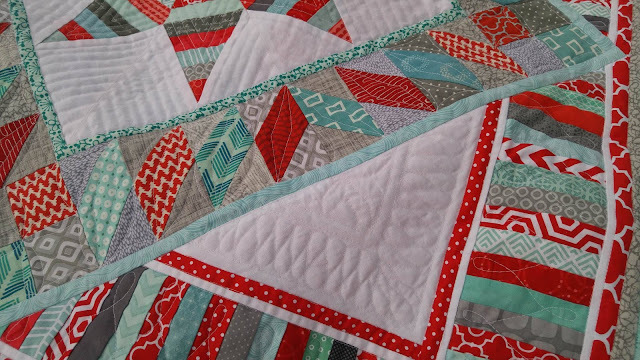 A great throw quilt size! 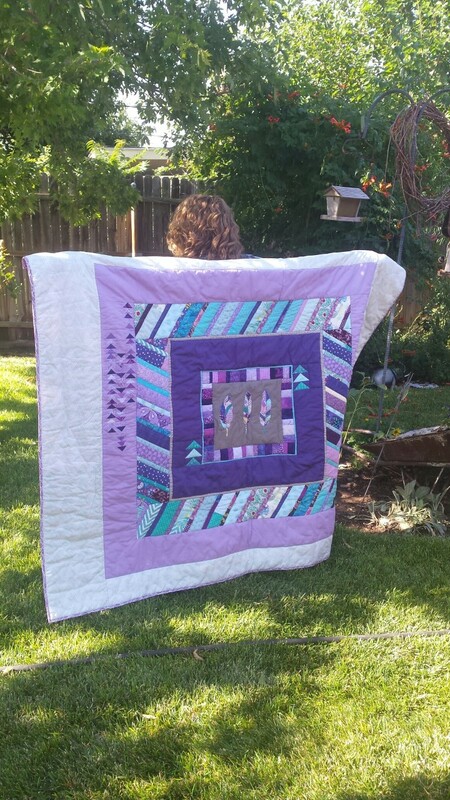 Now let's look at how my quilt came to be! I had several ideas for borders that I considered adding. However, I decided that none of them would actually make the quilt better. 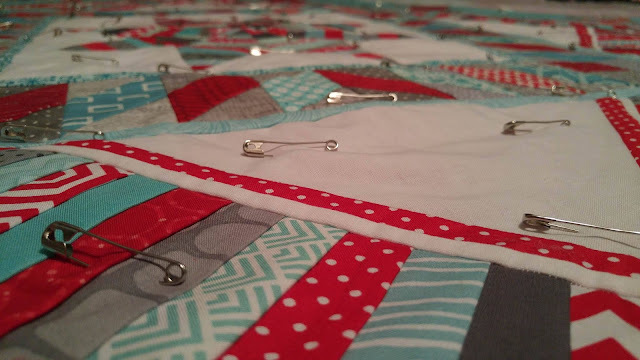 They would just be adding for the sake of adding. 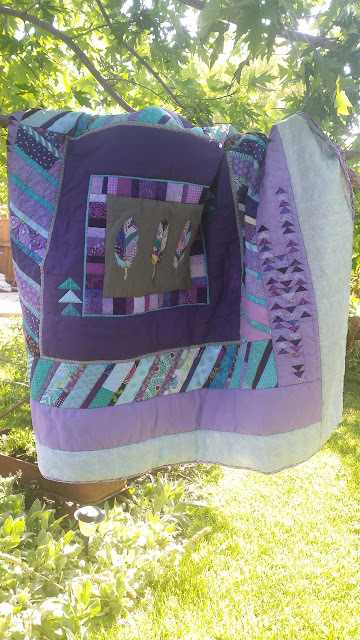 So I decided to leave the quilt as is and just "quilt the life into it." 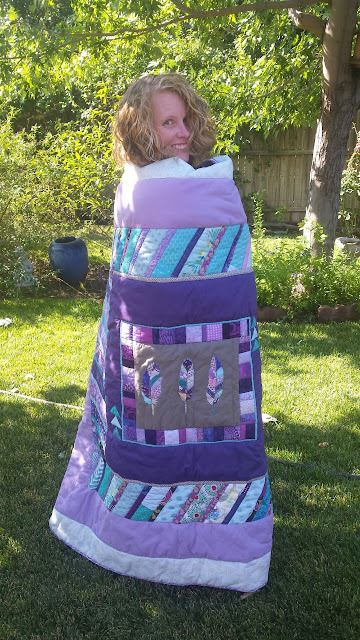 Or quilt it to death. 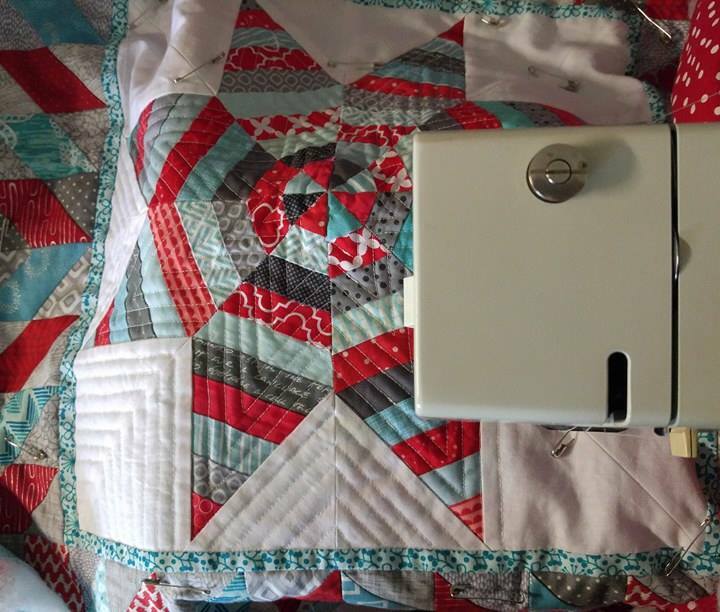 Or spend hours upon hours sitting at my sewing machine. 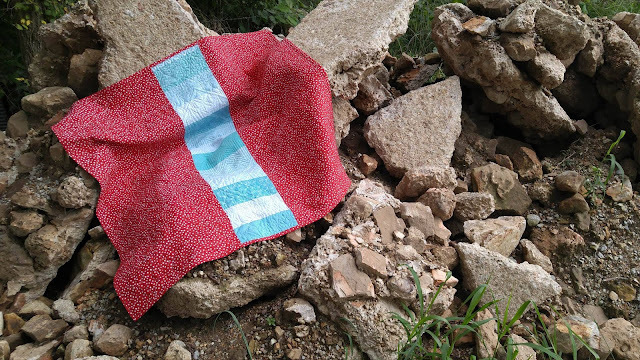 I pieced a back using red fabric and various aqua scraps. 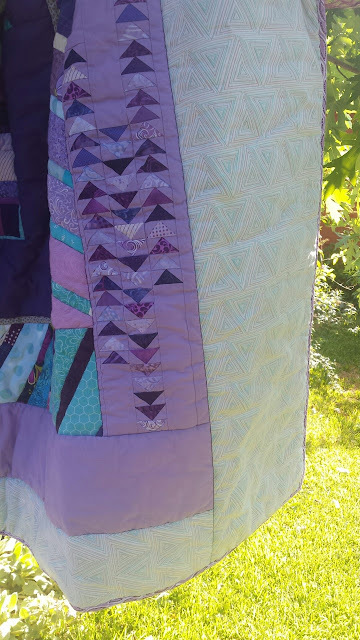 I used a low-loft polyester batting. I used my walking foot to quilt parts of it, but also used my darning foot to free motion quilt other parts. 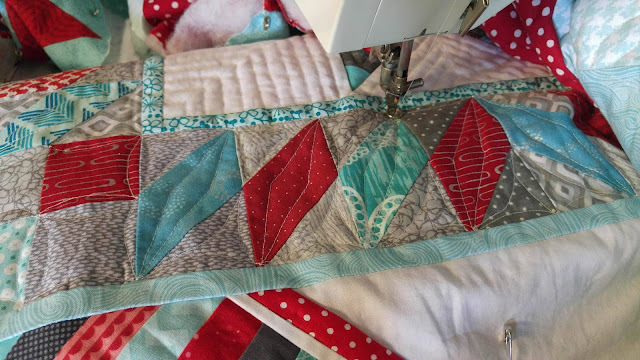 All quilting was done on my Bernina Record 930. 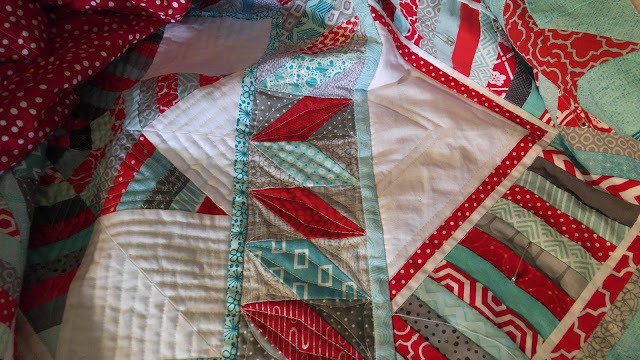 I used the same red fabric for the binding that is on the back. The quilt finished at 48" x 48". 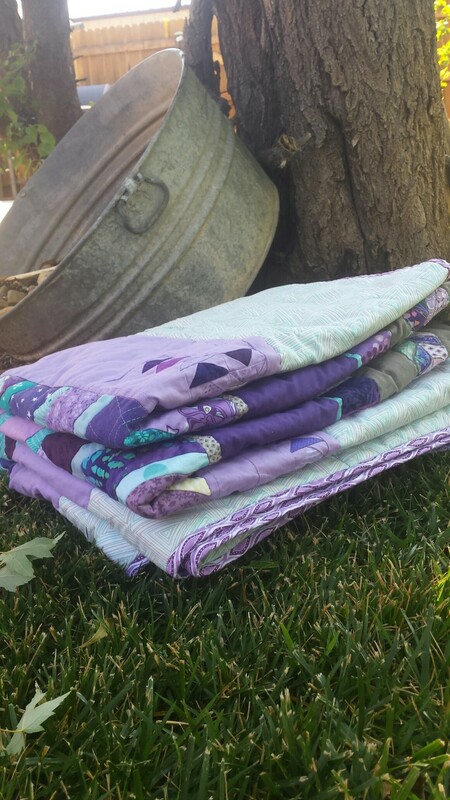 Each of our quilts traveled 2,532 miles (assuming the USPS took the most direct route - HA! 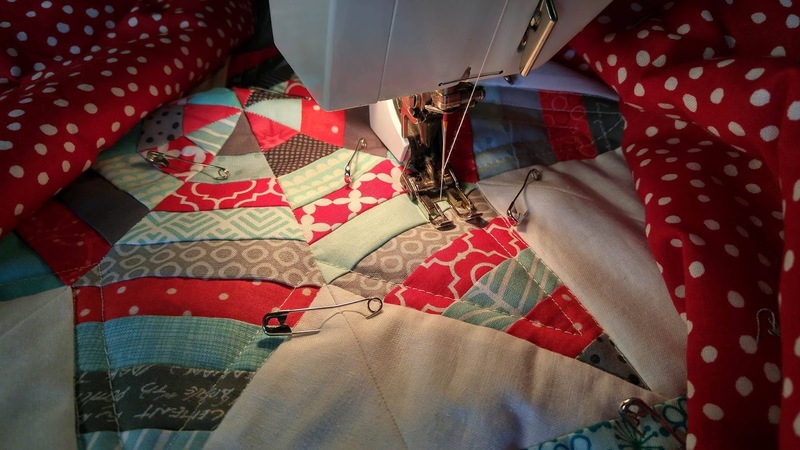 ), we each tried several things we had never done before, and we each have a quilt that symbolizes a friendship that started in college and has grown stronger because of quilting. 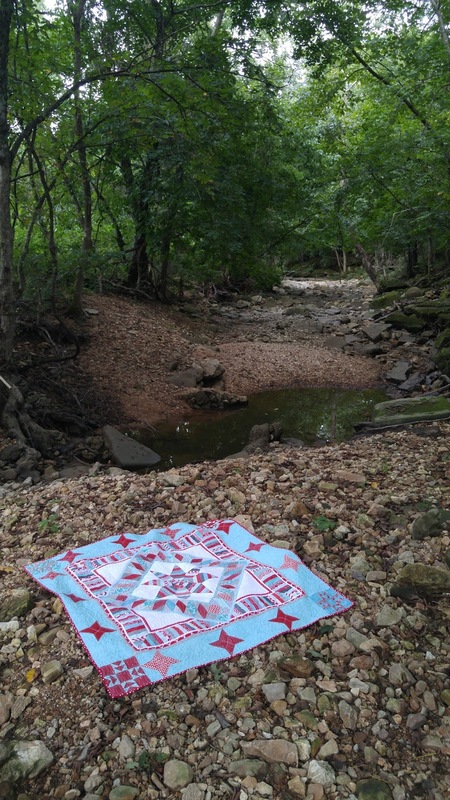 We both enjoyed this collaborative project very much and have already started brainstorming what we could do next!